Every business could use an occasional boost in their sales. There are several ways in which AI can help you accomplish this. There’s a lot of hard work and time involved in driving sales. You must research potential clients, make pitches to them, and continue to follow up with them before finally making a sale. Anything that automates this process is very helpful with making more sales, so you can grow your business faster. 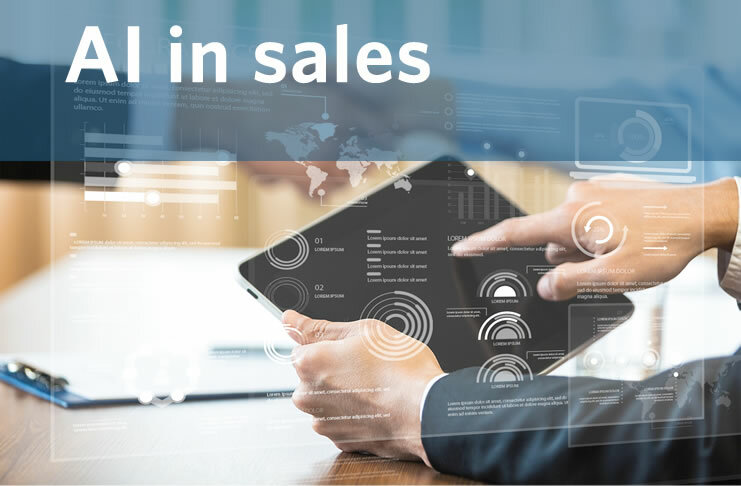 AI’s recent developments coupled with the availability of big data and deep learning have made it easier for you to grow your sales today. Inc. says AI influences real-world shopping situations too. This is done by showing customers ads that relate specifically to them when they’re about to buy something. Online shopping will soon witness this too. Conversational interfaces and virtual assistants will make the online shopping experience feel more natural which will improve your conversions. This won’t take away jobs from traditional sales people though. Instead, it’ll simply streamline your conversations in the same way that sales scripts did not too long ago. The only difference here is AI and big data will help you customize these scripts for each individual customer. This partnership between man and machine will be very powerful and quite intertwined – humans will rely on AI to process data in real-time while AI relies on humans to make educated decisions based on this data. Eventually, AI may grow so advanced that it can make these decisions for you, but the closest we’ve come to this currently is when AI places bids and adjusts programmatic advertising programs. There are many AI-based calendar management tools available today (e.g. x.ai, tevorai.com) that help your sales team manage their calendars and appointments automatically. This is done by analyzing your employees’ calendars to see when they have open time slots during which you can set up a meeting. AI can also suggest alternative times if unexpected delays arise. Doing so saves a lot of time and helps you run a more efficient business in which people can collaborate with one another. TD says that while taking notes used to be one of the most tedious parts of a meeting, there are now powerful AI-based listening and note-making tools that you can use. These tools (e.g. clarke.ai, wrapup.co) understand the importance of taking good, detailed notes regardless of what type of a meeting you’re in. They realize that you need these notes, so you can effectively follow up on things later. As such, you can rely on them to confidently preside over your meetings without being afraid that you’ll lose any of the important points. You can even rely on some of them to analyze client behavior and engagement, so you can personalize communication in the future. AI systems can also create customer profiles for your business based on their user habits and behaviors. They’ll take into account things like gender, age, location, demographics, and sentiments. In doing so they’ll be able to predict what your customers want or need to buy. Your salespeople can use these insights to refine their sales pitches, which will result in more purchases. Failure to target the right prospective customers results in failing to close many deals. This is why you need to know who to target instead of just shooting in the dark. With AI-based platforms like Albert.ai you can quickly execute more effective marketing campaigns – in seconds vs. the hours it’d require a human data analyst to do this job. This is a great way to quickly and accurately improve your sales performance. Instead of showing news updates in chronological order, companies can now use AI to show people what they really want to see. This is because AI can learn about a user’s behavior and interests then use these to create more personalized news feeds. This lets your salespeople have more opportunities to be seen by their target audience since they can now post updates that are related to their interests – something that ultimately results in more sales. AI voice system can help your sales assistants gain control over their data, so they can spend more time making sales. A digital assistant makes life easier here by handling everything from updating your CRM to improving forecasting for you. This eliminates the necessity of manual data entry while also assuring you of better data accuracy. AI lets you improve every step of your sales process. While you’ll start by simply identifying the right prospects, you’ll eventually gain more detailed insights, smarter recommendations, and better predictions too. Armed with this powerful information your salespeople can target the right people, personalize their sales pitches, add more value to sales meetings, and quickly close more deals. Once AI completely handles all your data management you’ll have fewer errors and be much more efficient. This error-free data combined with actionable insights will help your sales team develop more effective strategies, so you can improve your bottom line. While many of these things sound futuristic, much of this power is ready for us to harness today. Some of the modern technologies that are currently tapping into AI include Salesforce, IBM, Ceralytics, and Nuance. Each taps into a different area of AI-based sales and marketing to help big players like Google, Facebook, Apple, and Amazon conduct business and power their search results. AI is also found in our homes thanks to voice assistants like Siri and Alexa. Many people believe that in the future we’ll interact even more with these voice assistants when we’re making sales decisions. This is something that could be really beneficial because we could simply give it a command like, “Alexa, buy me some soda” and it’ll “magically” happen. Of course, this is just one example of how bright the future of AI-based sales looks. While we still have a long way to go to reach this point, it’s the direction we’re currently heading in. For now, though, we can get a head start by becoming an early adopter of such technology.